Stephanie contacted us yesterday (Tuesday the 22nd) in regards to needing help with getting some items added and fixed on her website. She provided us a detailed list of things that she needed to have done on the website. Upon receiving that list, we provided her a specific estimate for each item that she requested service for. Upon receiving her credentials for the site, we started right away and had the work done within just a few hours. She has since looked over the work and has approved of the changes. 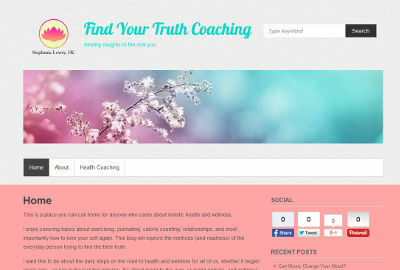 Stephanie’s website is at findyourtruthcoaching.com.